How many Emmys will the final season of Breaking Bad win? For as frustrated as I was with the 2014 Emmy nominations when they were announced, I’m still excited to see TV’s best (with some notable exceptions) celebrated on Monday night. Although I don’t watch a lot of what’s considered “critically acclaimed” television, I’m still going to attempt to predict the show’s big winners. I’m also going to offer my thoughts on who I wish would win in these categories, too. I’m not including the miniseries or TV movie categories because I haven’t seen any of those nominees. However, if you have thoughts on who will/should win those categories (as well as any others I’ve left out), let me know in the comments. And I’ll be live tweeting the evening’s festivities (including any red carpet coverage I can watch after work—why are these awards on a Monday?) over on the NGN Twitter account. My Thoughts: I will preface this by saying I think Breaking Bad and True Detective are going to split the series and actor categories. So if Bryan Cranston wins for acting, I think True Detective will take home this award. Ultimately, it’s a very close race, but I think Breaking Bad’s final season will be recognized to honor the show’s part in TV history. 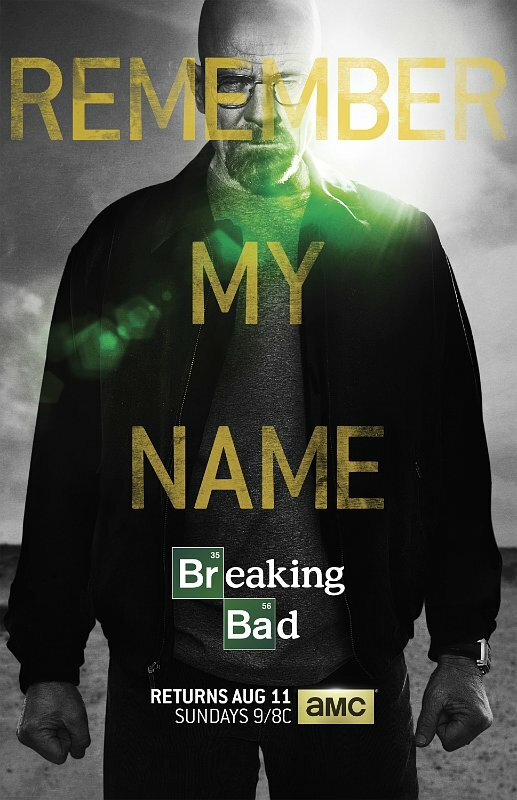 Years from now, Breaking Bad will be known as one of the pillars of this new Golden Age of television, so I think the Emmys will take advantage of having one last chance to honor it. My Thoughts: I know the Emmys are often afraid to break away from the familiar, but the impact Orange Is the New Black has had on the television landscape shouldn’t be denied. I think this will be Emmy voters’ chance to recognize Netflix as a platform since I don’t think House of Cards will take home any awards this year. Not only would this be a way for the Emmys to make a statement that they’re not stuck in the past, it would be a way to recognize a show that’s unlike anything else on television. With the 2014 Emmys right around the corner, it’s time to start thinking about who we think will take home the night’s big awards (which will be the topic of a post over here this weekend), as well as who we think should be given an Emmy this year. Although I found myself fairly disappointed with this year’s group of nominees (surprise, surprise), there are still some names on the list that I will be crossing my fingers for on Monday night. Some of those names don’t have much of a shot at winning, but I love a good dark horse. When Monday rolls around, I’ll be waiting with bated breath to see if Amy Poehler, Andre Braugher, and Julianna Margulies are rewarded for their stellar performances this season. The buzz around Braugher and Margulies is strong, so I’m hopeful about their chances. And for as much as I love Poehler, I don’t think this was Parks and Recreation’s strongest season. Therefore, I think she might have to wait for a “body of work” Emmy next season. 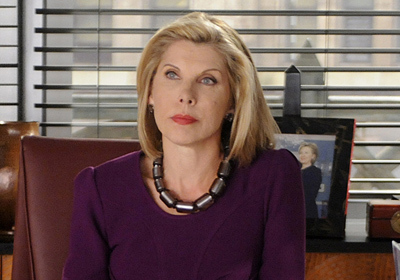 All three of these actors have been deservedly showered with praise far more eloquent than anything I can ever say about them, so I want to turn my attention to the final nominee I’m wholeheartedly championing this year—a woman whose subtly affecting work is often overlooked in favor of others in her category and even on her show: Christine Baranski as Diane Lockhart on The Good Wife. This year’s Emmy nominations are disappointing as a whole (despite some bright spots), and that statement has become as predictable as the nominations themselves. Every year, it seems the Emmy nominations are plagued by the same complaints: predictability and a very narrow view of what’s become a very broad medium. In order to cope with my overwhelming frustration over this year’s nominees, I wanted to offer a little advice for Emmy voters. Follow these helpful tips, and maybe next year’s nominations will be met with something other than bored shoulder shrugs and frustrated sighs. 1. Stop nominating the same shows year after year when they’re not showing any growth. Few things annoy me more when it comes to the Emmys than strong seasons of “dark horse” shows getting overlooked in favor of mediocre seasons of perennial “favorites.” Don’t get me wrong; I think Modern Family is still a very funny show, but maybe it’s time to open your eyes, dear Emmy voters, to see that there’s a whole world of network comedy beyond that show and The Big Bang Theory. Brooklyn Nine-Nine had one of the strongest freshman seasons I can remember. The Mindy Project created a season of television that was a better romantic comedy than any shown in movie theaters this decade. And Parks and Recreation continued to prove its underappreciated brilliance with a season full of brave storytelling that culminated in a truly genius finale. You have only one season left to honor Parks and Rec; don’t screw this up next year. 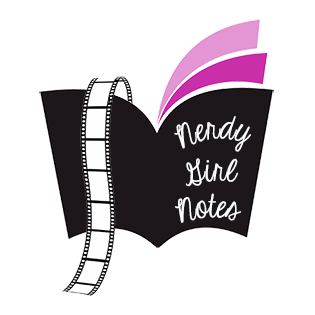 Enter your email address to follow Nerdy Girl Notes and receive notifications of new posts by email.